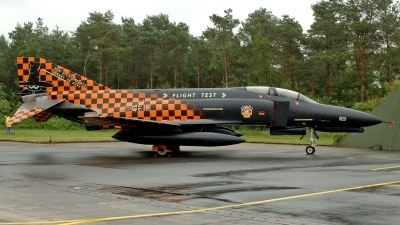 Phinal Phantom ETSI Manching 38+13. 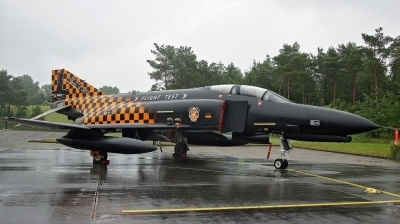 A grey day and first flight after finish special color scheme for Phinal Phantom 2013. 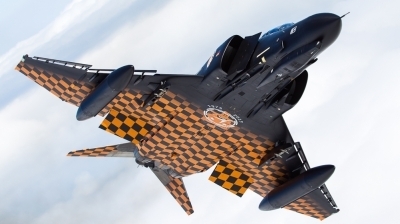 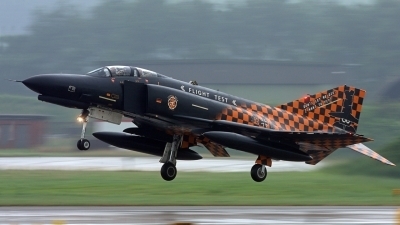 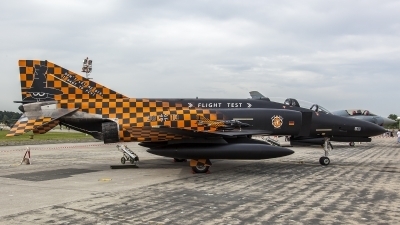 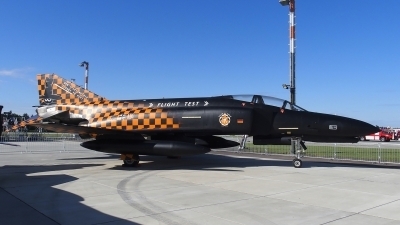 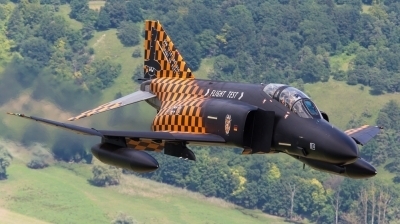 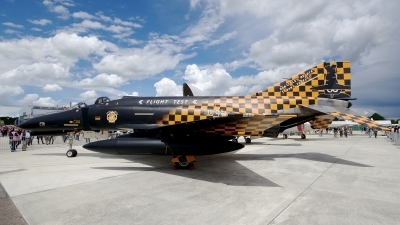 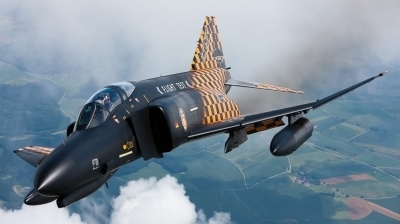 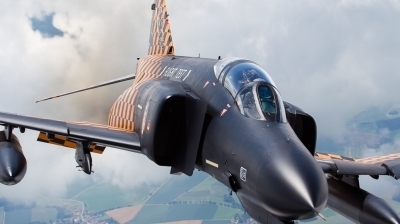 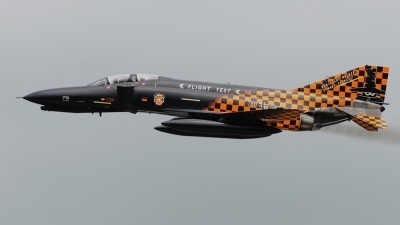 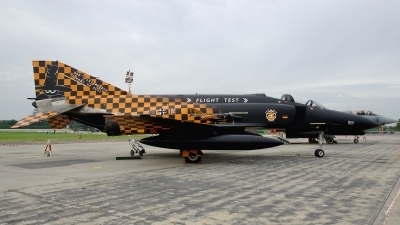 Sadly no sun that spotterday for the "phly-out" of the F-4 at WTM forever...but what a livery. 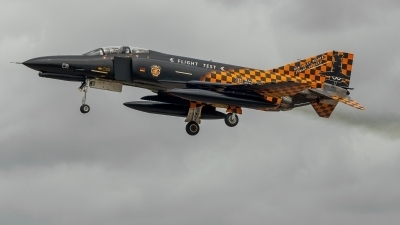 back from the mission the Phantom just dropped its breaking chute after leaving the runway. 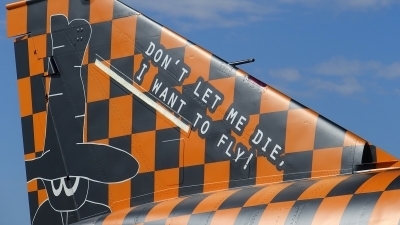 The text on the tail is just what everybody was thinking during this sad event. 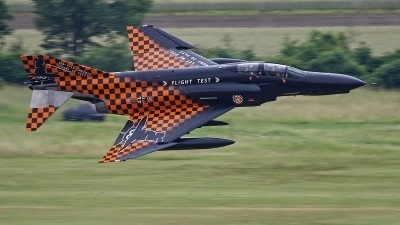 Even the weather agreed with it. 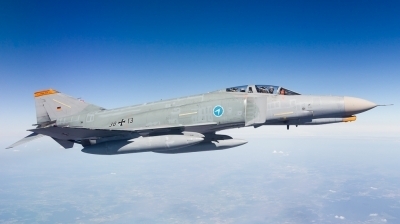 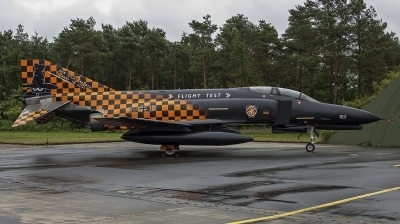 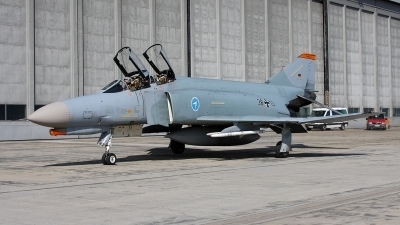 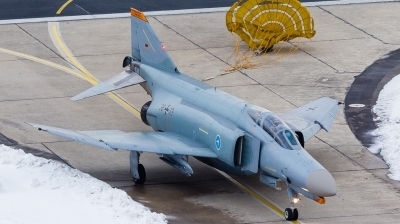 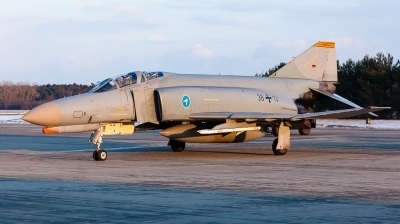 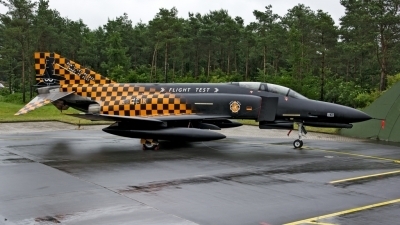 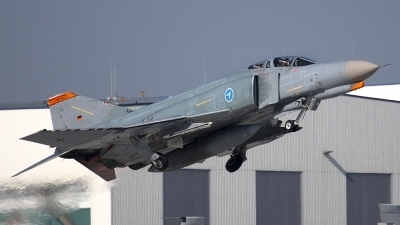 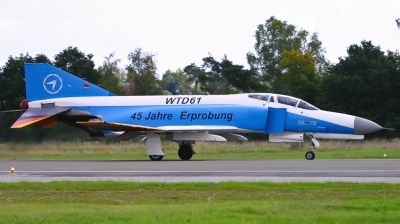 Arrival of the WDT61 special paint F-4F for the Spottersday the day before the Phantom Phlyout. 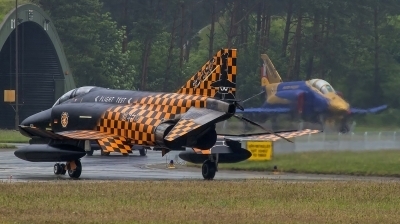 In the background you can see the JG71 special paint F4-F Really appropriate weather for this sad event.